It’s not the competition that companies fear, but downtime. Any failure in the production line not only reduces profits, but also throws other schedules off the track, and damages reputation as well. So getting services from a reputed and trustworthy electrical engineering contractor is vital to avoid huge losses and dent to reputation. Zeal CAD Services can offer you electrical engineering services as per your schedule and emergency at the shortest notice. We have skilled and experienced industrial electricians who can ensure the production line, and other business operations run smoothly without any downtime. We have qualified, certified, and experienced engineers who can design, test, install, and maintain industrial electrical systems. Having worked in the electrical domain for years, we have collected all the expertise required to offer electrical engineering services to commercial, residential, and industrial sectors. We are focused on providing safe, reliable, efficient, and up-to-date electrical systems to our clients. If you are looking for electrical engineers in Australia, we can be the right choice for you. Whether you have large or small electrical requirements, our engineers can visit your site, offer consultation, and explain you electrical services contract. Efficiency of electrical systems depends on meticulous planning and accurate electrical layout. Our electrical designer engineers have the knacks to design and draft electric circuit diagrams that can help in proper flowing and distribution of electricity to all the departments within the company. Whether it’s a single-line electrical system or multiple lines, our electrical designs never go wrong. We can handle any types of interfacing requirements. We offer hassle-free electrical instrumentation services to organizations. Our team of electrical engineers offer services by following rigorous quality and load checks procedures. We can analyze control system architecture, set control room, design control panel layout, assess and calibrate electrical instruments, and much more. 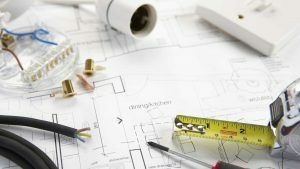 Our electrical CAD drafters are skilled in designing electrical drawings for commercial, residential, and industrial purposes. If you have electrical design on papers, we can scan and convert it into CAD files. For easy communication with your clients, our CAD pro can convert electrical drawings into PDF files. We are experts in handling the complex power system architecture and can arrange the power system in different ways as per your needs. We can design and install architecture specific for technical necessities such as radial systems, loop systems, and system with internal power generation. Zeal CAD Services are capable of providing electrical design solutions to organizations, architects, developers, and general contractors. Our electrical CAD drafters are skilled in working with advanced AutoCAD software. We offer electrical engineering solutions matching with current industry standards. We have a tie up with reputed electrical recruitment agencies in Australia. Our electrical engineer recruitment process is the toughest, which only a few candidates get cleared through. This guarantees peace of mind for our clients. It’s our commitment to offer you safe working environment as per prevailing electrical compliance.